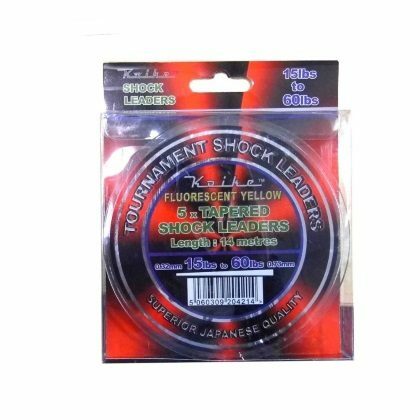 These Koike Tournament Tapered Leaders are designed to maximise casting distance and provide better performance than using a standard 60lbs shock leader. Each leader is made out of crystal clear Japanese monofilament and tapers from 14lb breaking strain to 60lbs breaking strain over its 14 metre length. Five leaders are contained on each spool.